I overheard snatches of quiet conversation and oohs and aahs as I padded through the photo gallery at the Smithsonian Natural History Museum. 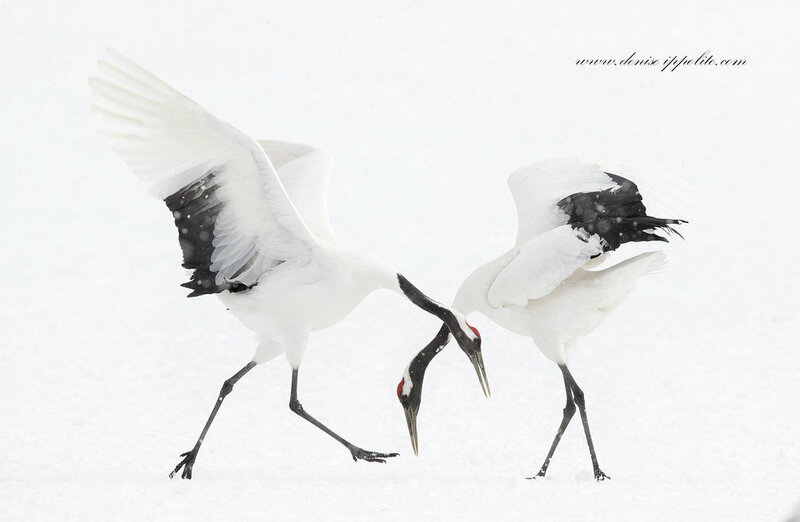 I had come back to see the Windland Smith Rice winners again, the best of the best of nature photography. As I made my way towards the exit, one caught my eye. How could I have missed this stunning work of art on my first visit? Was this a painting? No, it had to be a photo; it was in a photo gallery after all. But what a photo! It was Denise Ippolito’s remarkable image of the feathers of a Galapagos frigate bird. I actually ended up missing my train because I was so engrossed. The next year, I was delighted to find another one of her photos – a rockhopper penguin, below – as the winner in the birds category. 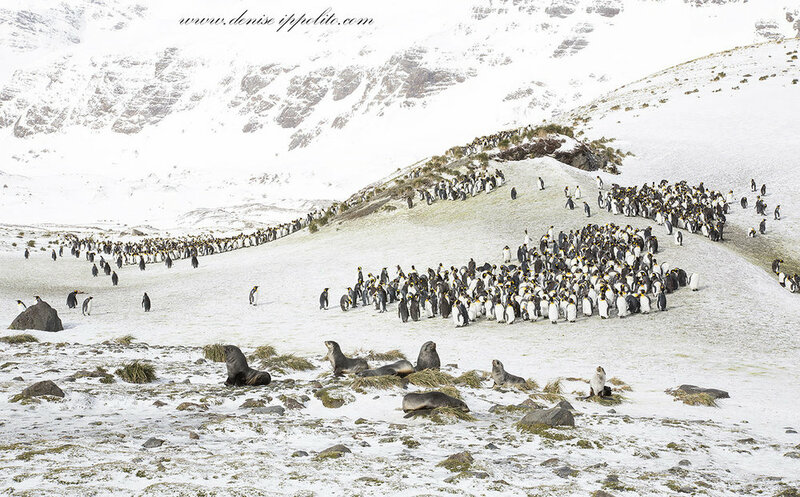 Denise’s photography bridges the gap between documenting nature and creating art with it. I’ve been a fan of hers for years, so you can imagine my excitement when she agreed to chat with me. And then you can also imagine how upset I was when our Skype connection failed, with neither of us able to reschedule! But Denise was patient, kind, and understanding, and she agreed to communicate with me via email instead. The whole experience was a good reminder that while technology is useful, it’s also not entirely reliable. It’s worth remembering that sentiment in photography too; I once read somewhere that if your photos aren’t turning out how you want, or your camera's acting up, just stop and enjoy the experience. Her passion for animals is evident in her work; it’s crystal clear from her photos that she loves what she does. She makes a point of seeking out and photographing animals that she’s interested in, rather than what potential buyers might look for. Denise travels all over the world in search of animals that she likes, that “capture my heart,” as she puts it. She leads photography tours and teaches workshops, and has gotten to go to some pretty cool places, from the Falkland Islands to Japan to Greece, and many more. (And for those who may not be able to go on one of these trips or attend a workshop, she writes great photography advice books too). All of this has made Denise much more conscious of how her behavior, and people’s behavior in general, affects the natural world. She has seen firsthand how delicate the balance of nature is. “Conservation has to be at the top of the [priority] list for any wildlife photographer,” she explains. “We need to stop poachers, we need strict laws in place to preserve our lands from over-development, and we need to stand up for animal rights, and to be accountable when we make purchases that influence the environment.” One area that has her particularly concerned is climate change, or global warming, and the number of people who refuse to take it seriously. Favorite places to take photos: Alaska, because it feels like the final frontier, but also anywhere where wildlife is in its natural setting – so not zoos or game farms. What’s next for Denise: Photographing polar bears (before they disappear), traveling the world (and sharing those adventures on her blog), and writing more photography how-to books. Be passionate about your subjects – it really shows! Don’t worry too much about the money. The subject comes first. Know your subjects’ behavior patterns before entering their environment – If you know their behavior, you’ll be able to anticipate their actions and get better shots.